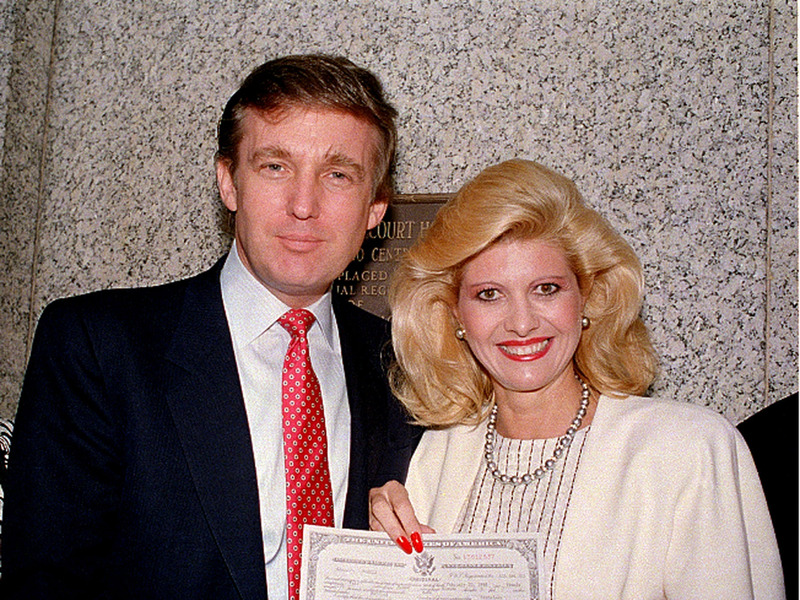 AP PhotosPresident Donald Trump with then-wife Ivana, May 1988. 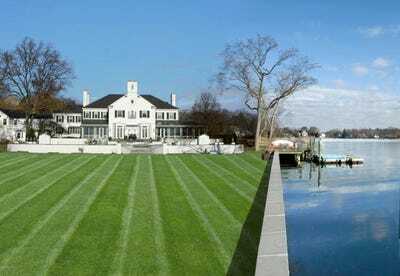 President Donald Trump and then-wife Ivana purchased a Connecticut mansion for $US4 million in the early 1980s. 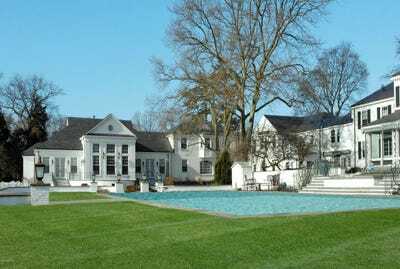 During the couple’s divorce, Ivana got the house. 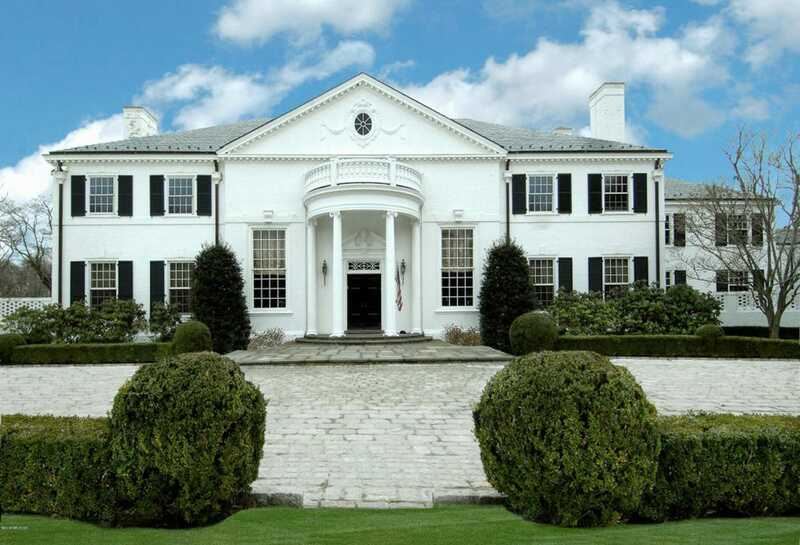 Ivana sold it in 1998 for $US15 million – and it’s now on the market again for $US45 million. 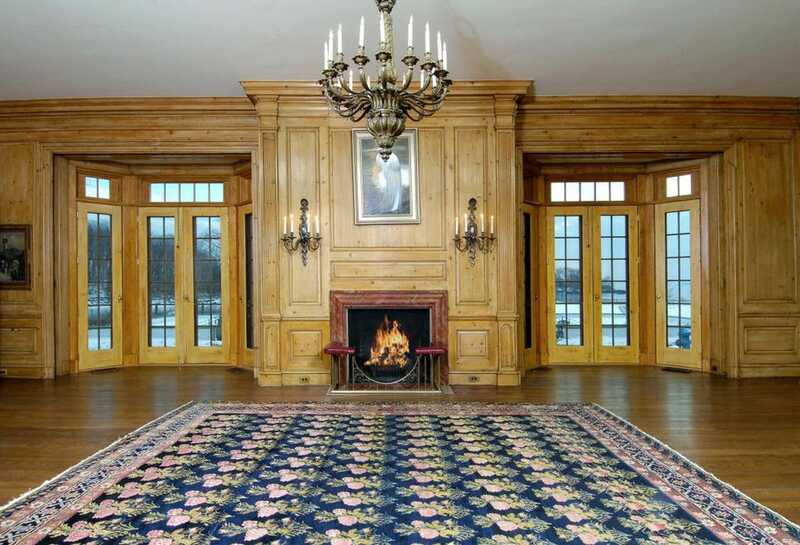 A Connecticut mansion, once owned by President Donald Trump and then-wife Ivana is currently on the market for $US45 million. In the early 1980s, Trump and Ivana purchased the Greenwich mansion for $US4 million, according to the Wall Street Journal. The home’s current owners, financier Robert Steinberg and his wife, Suzanne, purchased the home from Ivana in 1998. After Trump and Ivana divorced in the early ’90s, the home went to Ivana – who sold it to the Steinberg’s for $US15 million. 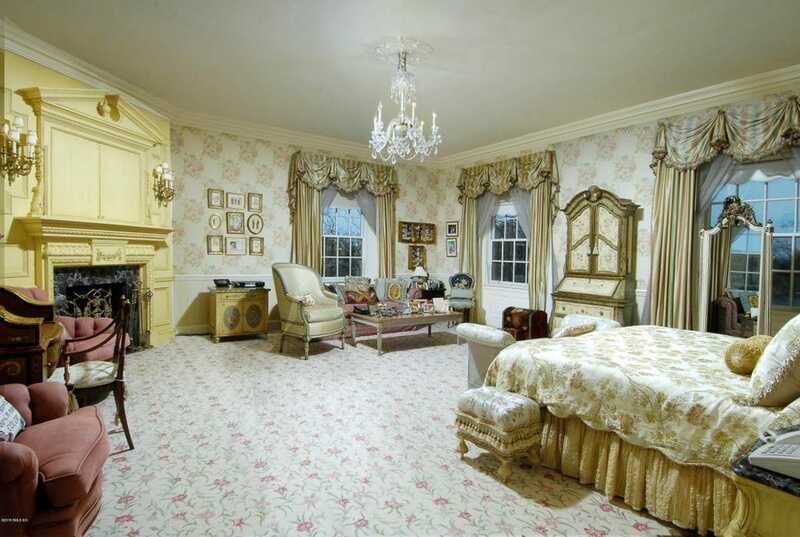 Listing agent Tamar Lurie of Coldwell Banker told the Wall Street Journal that when the Steinberg’s moved in, there was much more gold decor: “When Donald and Ivana had it, they had it decorated very lavishly,” Lurie said. The Stienberg’s have since redecorated. Originally, they put the home on the market for $US54 million – then reduced its price to $US45 million as Trump’s presidential campaign was ramping up. 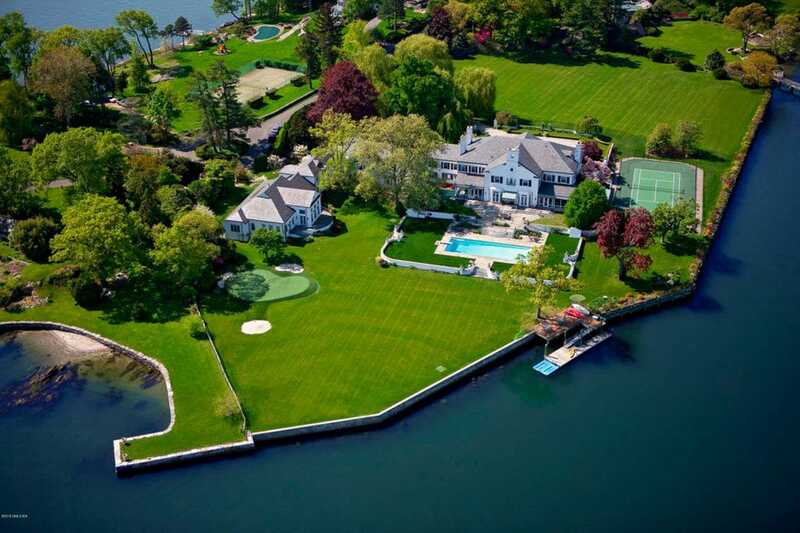 It was taken off the market for some time, but is once again listed for $US45 million. 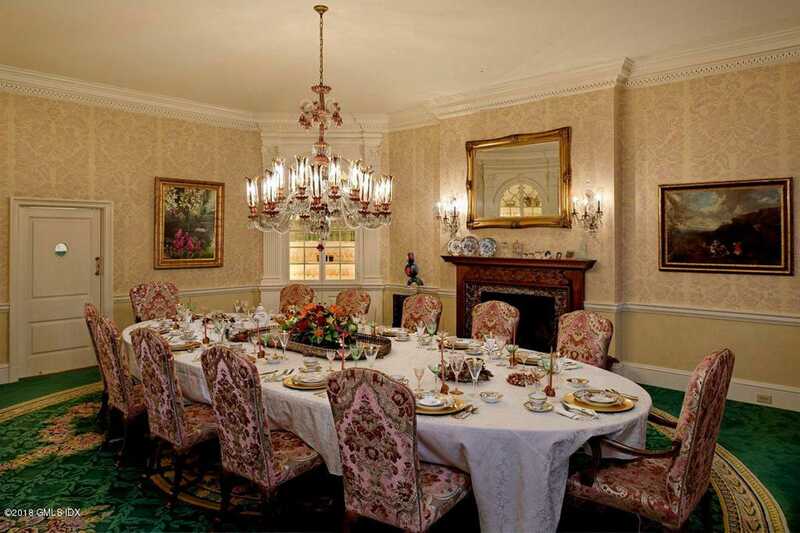 See below to peek inside the home that President Trump and then-wife Ivana once lived in. The home sits on 6-acres of property in Greenwich, Connecticut. 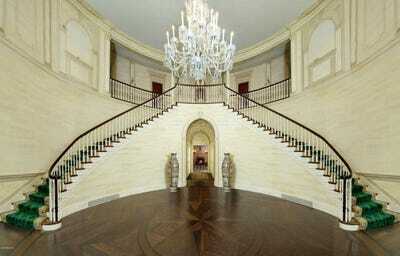 The house is 19,773 square-feet, and has eight bedrooms. 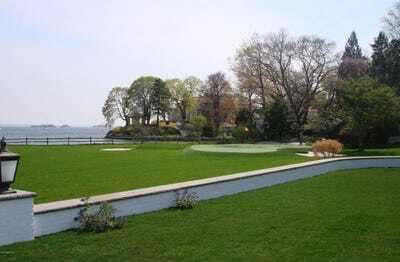 Its green lawns overlook the Long Island Sound. A putting green is also on the property. In the home’s main entry way, twin staircases greet guests. 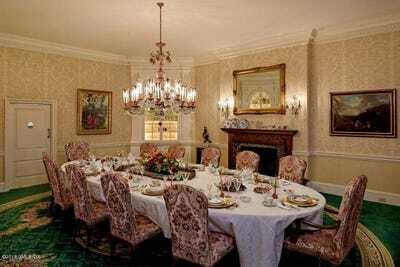 The dining room can accommodate full dinner parties. 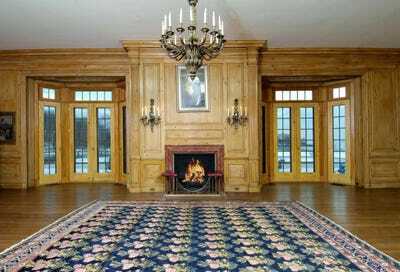 Wood panels cover the main living room walls from floor to ceiling. 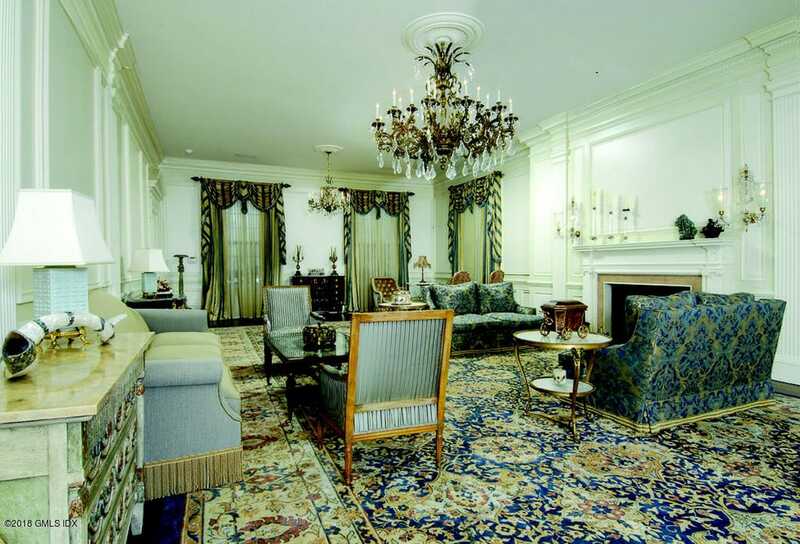 Chandeliers and elaborate mantels adorn the sitting room. The master bedroom comes fully equipped with a fire place. 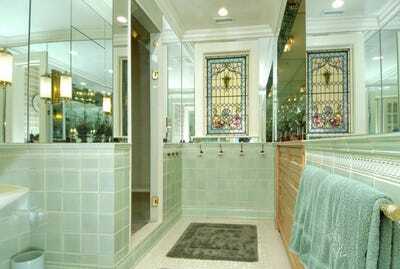 Stain glass windows are part of the built-in bathroom decor. 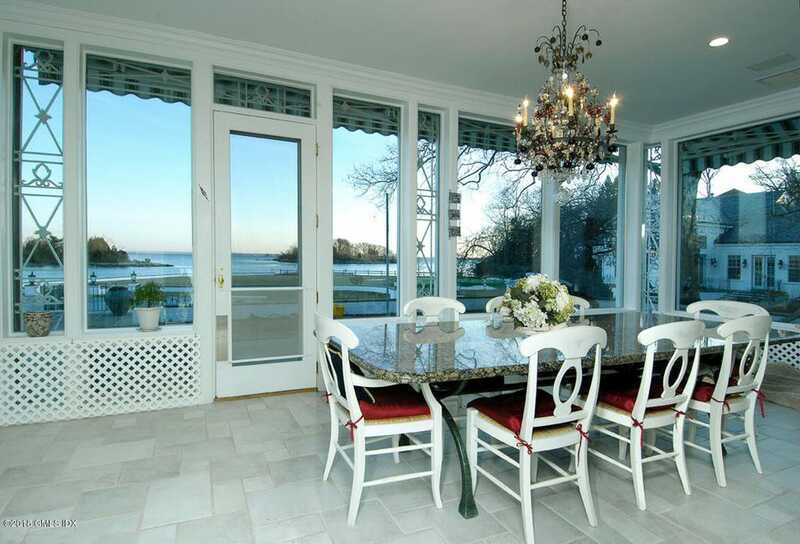 An enclosed porch provides indoor/outdoor dining space. 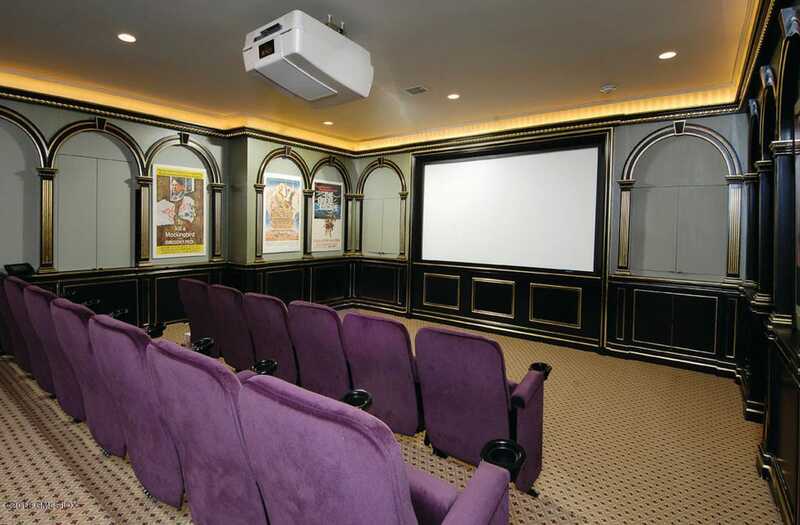 There’s also an in-house movie theatre. 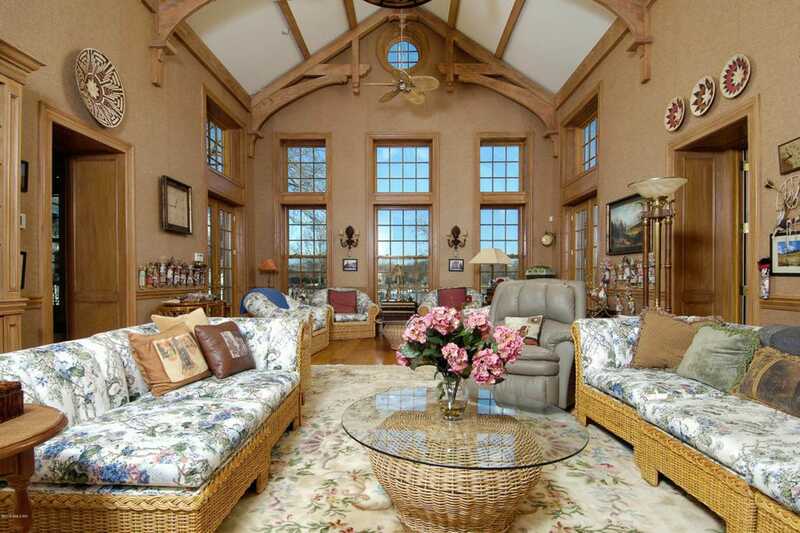 A lounge room with wood moulding provides a view of the water. If the outdoor pool is too chilly, an indoor lap pool is also on the property.